Ever wondered what life is like in northern Canada? Ever dreamed of being a dog sledder and living in a rustic cabin the woods? 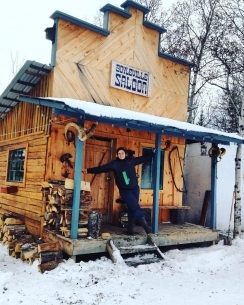 If so, catch a glimpse of what it's like to live in Boyleville Saloon without central heating, running water, and -bonus- through the eyes of dog handler Kristina Disney!